A tribute to the values ​​of table culture. Plates and cups, tureens and plates –– consumer goods, made of clay, feldspar and kaolin. Plate delights made from the finest ceramics. A statement. A clear commitment to the beautiful things. 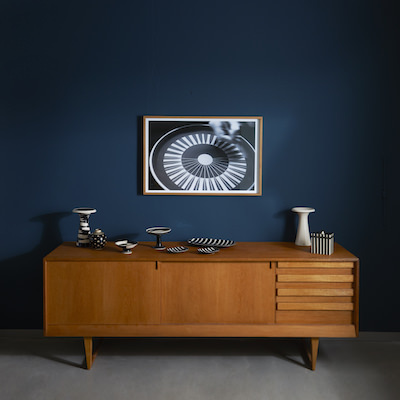 Indispensable for interior designers and decorators: the sophisticated design classics from the HB Werkstätten. Ceramic art in Bauhaus tradition. Ambassadors for awareness and appreciation of the particular. Perfect examples of classical craftsmanship. Handmade designs by Hewdwig Bollhagen, one of the most important ceramists of the 20th century in Germany. Her heritage was declared a national treasure in 2015. The completion of the reduction. Popular unique items with collector value. After stations in stoneware factories, state-owned factories and pottery workshops, Hedwig Bollhagen founded the "HB-Werkstätten für Keramik GmbH" in the decommissioned Haël-Werkstätten in Marwitz. 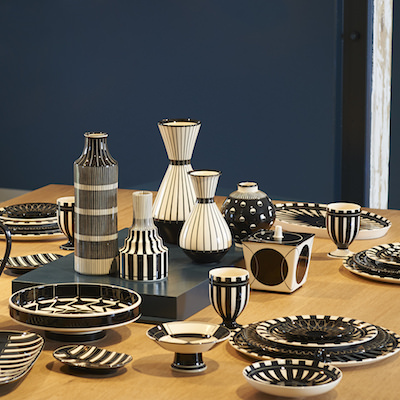 For over 80 years in the Brandenburg town of Marwitz near Berlin, right on the German Töpferstraße, her timeless ceramic objects are still produced by hand, following the spirit and inspiration of the founder. Hedwig Bollhagen (1907-2001) lived for ceramics. Inspired by a doll harness with which she played as a little girl. In July 2015, the Hedwig Bollhagen Museum was opened in Velten. The 300-square-meter showrooms house 400 of the 1,600 objects which were declared a national treasure in the same year. Hedwig Bollhagen was a pioneer, even though she modestly saw herself only as a potter. Her work must be classified in terms of art history and positioned as what it is seen today: the heritage of one of the most important designers of the 20th century. It is only in the context of cultural history and in juxtaposition with other outstanding achievements in design, architecture and painting that one understands the maturity, elegance and timelessness of her work. It was my intention to do simple, timeless things.